Customize the front cover, back cover and spine crystal-clear overlays to meet your individual needs. No "bunching", pages lie flat against back cover. Two inside pockets for additional storage of loose documents. 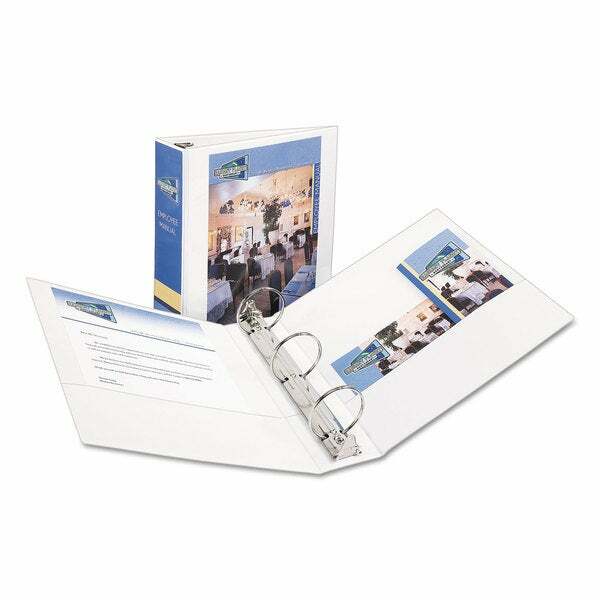 Maximum Capacity Range ("): 3 in; Sheet Capacity: 460; Color(s): White; Binder Sheet Size: 11 x 8 1/2.